Starship Captain - Incoming missiles! Comic 8 - Incoming missiles! This is update 2 of 2 for today, make sure you check out the other page(s)! 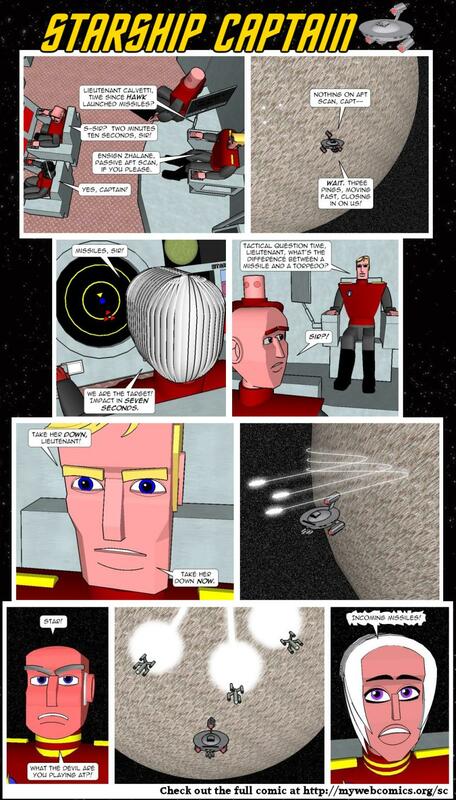 This is pretty much the last sample page that will be posted for this comic, until a new Starship Captain adventure begins in the near future. Thanks for reading!